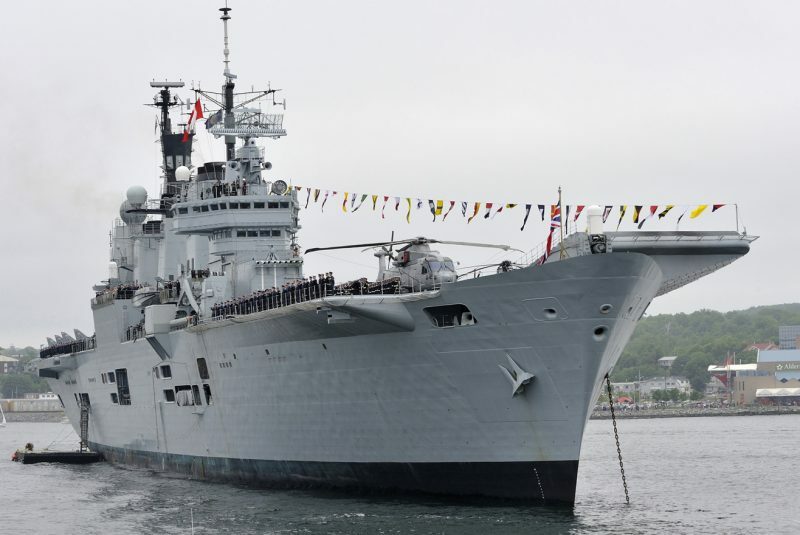 HMS Ark Royal at the Canadian International Fleet Review (IFR) where, on the carrier’s flight-deck, Prime Minister David Cameron told her sailors and aviators that he understood their importance to the nation. Not long after he axed the Ark, her Harriers and made some of her men and women redundant. Photo: Canadian DND. Consider the situation a century ago, when the Royal Navy was a colossus that ruled the waves. It was strangling the German war effort via a trade blockade, battling U-boats that threatened the Allied cause while also performing myriad other roles around the world as part of a titanic struggle. The Prime Minister was Lloyd George, the so-called Welsh Wizard, who was not always right but exhibited a fierce interest in the conduct of the naval war. He was not alone, for many politicians of early 20th Century took a deep and abiding interest in the Navy, whether in time of peace or war. Fast forward to spring 2017 when 20 Labour MPs exhibited profound ignorance of defence matters. They tabled a motion in the wake of the Assad regime’s chemical weapons attack calling for the Royal Navy to enforce a No Fly Zone over Syria and start shooting down any aircraft carrying suspect munitions. That Britain has no naval strike carrier capability or suitable fighter jets seemed to have escaped their attention, despite many of them being MPs for some years, at least one since 1997. Where were they when the calamitous Strategic Defence and Security Review (SDSR) of 2010 was outlined? Did they not notice Ark Royal and her strike jets being discarded? We heard no protests from them at the time. Some of the ‘No Fly Zone’ MPs were around when the UK’s last naval air defence fighter, the Sea Harrier, was sacrificed in 2006 to save money, a fact that apparently also passed them by. Clearly they take no real interest in defence matters, not even the basic facts of current UK capabilities. Yet, these same people were recently also charged with deciding whether or not the UK should have a new nuclear deterrent. They could even be future defence ministers without understanding how strong conventional forces are essential as part of calibrated deterrence, reserving the nuclear option as the absolute last resort (for very good reason). How can such people be trusted with understanding the nuances of nuclear deterrence? That it isn’t a weapon system to be used, but a political tool to enforce peace through never being used, but always being ready? For more than two decades the UK’s politicians of all parties have indulged themselves in reaping a so-called peace divided, while taking little or no interest in the reality of defence. The majority of current Tory, Labour and Lib Dem MPs – or rather electoral candidates, as they should properly be referred to during an election campaign – seem equally ignorant on Defence. The SNP focuses entirely on getting rid of the nuclear deterrent while ensuring British warships are built in Scottish yards while UKIP and Greens offer strong opinions but are never likely to be in power. See accompanying commentaries on the Defence stances of the main political parties. In the meantime over the past two decades UK politicians have permitted the Navy to be hollowed out, along with the Army and RAF, again with little or no protest. There have been honourable exceptions among MPs and ministers, but Governments of all parties have ignored those few warning voices in the wilderness because, let’s face it, Defence has been a cash cow they could milk with little penalty in terms of votes. As former UK Amphibious Task Group (UKATG) commander Rear Admiral Chris Parry has observed, the defence cuts since the Cold War have removed not only the fighting teeth of the RN but are now consuming its gums. He has also pointed out that the UK’s naval forces need the ability to go in harm’s way and stay there. Rear Admiral Parry doubts that they can anymore. Regrettably, thanks to Britain’s ignorant, posturing politicians the Royal Navy of today is a paper tiger and should it be deployed in war against a strong opponent a heavy blood price may be paid. When, and if, that day comes the people of the UK should hold past and present politicians to account.